The Montessori Country School Nobleton is a leading provider of Montessori education. Our school provides a first-class academic experience to students in an environment that is distinguished by its compassion, integrity and unwavering commitment to the individual child. 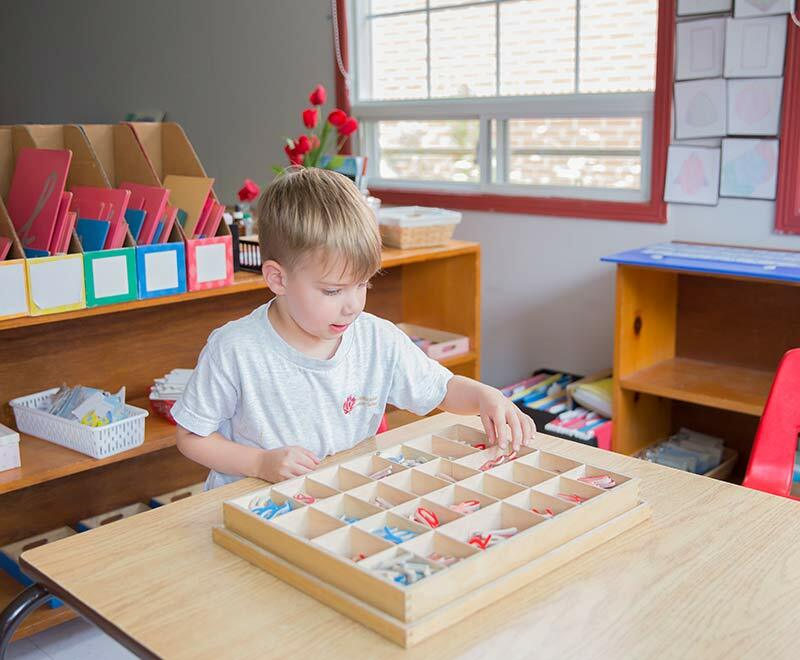 As a leading provider of Montessori education, with an uncompromising desire for excellence, The Montessori Country School Nobleton delivers a rounded and complete Montessori education, building the foundation for the child’s intellectual, emotional, social and physical development. Our strength lies in the expertise and dedication of our teachers and staff, in the uniqueness of our learning environment, and a constant desire to be the best. Currently, The Montessori Country School in Nobleton is an accredited school with the C.C.M.A. We completed the process of becoming fully accredited by this organization in 2015. Since Montessori schools are not governed by a central body, nor is anyone prohibited from using the Montessori name, accreditation is an effective way for us to assure parents that we are providing quality Montessori education. Through trusted partner relationships and an accredited, academic Montessori program, we enrich lives and empower each child to realize their individual potential with passion and confidence. We are Trusted Partners. We work side-by-side with parents and families to create the best learning environment for each child. We have open communication and share our expertise and knowledge. We act with Integrity. We are open and honest with you regarding our services and design the best learning plan for each individual child. We are Fully Engaged. We work entirely for the best interest of each child and give our focused attention to their needs. We Excel. We continue to maintain our strong Montessori pedagogy, with the child at the centre of every decision. We are a fully accredited Montessori school with the highest standard of excellence. We Collaborate. We work together with parents to create the best individual plan for each child. We work with other educational institutions to make links so your child will have all the appropriate tools at the time of transition to their next school. We are Growing. We continue to learn, take professional development courses and strengthen our knowledge to stay current so we can best serve the child. We keep up-to-date on educational trends and best practices. We make an Impact. We encourage each child to explore new ideas, take calculated risks and support growth in each child’s academic, emotional, social, and physical aspects. Montessori Country School teaches kids to learn how to use materials and taught using hands on experiences. The school prepared my child for life outside the school setting. The Montessori Country School Nobelton is a leading provider of Montessori education. Our school provides a first-class academic experience to students in an environment that is distinguished by its compassion, integrity and unwavering commitment to the individual child.